Paris Saint Germain (PSG) Italian midfielder Marco Verratti was diagnosed with a sprained ankle, which makes him doubtful for their upcoming first leg of the UEFA Champions League last-16 clash against Manchester United, the Ligue 1 club announced on Sunday. 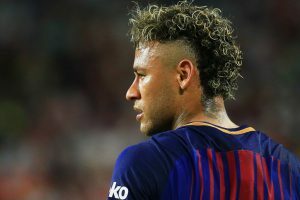 Neymar became the most expensive footballer in history when he joined Paris Saint-Germain for 222 million euros in August 2017. 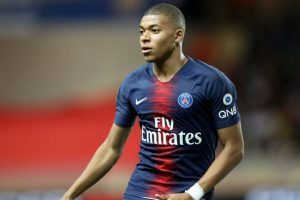 Liverpool manager Jurgen Klopp hit out at the referee and Neymar as his side slumped to a 2-1 defeat to Paris Saint-Germain that leaves last season's runners-up dangerously close to an early Champions League exit. 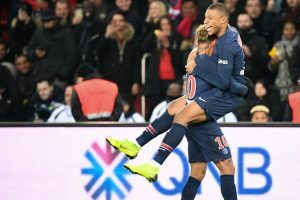 Paris Saint-Germain may still be playing catch-up with Europe's traditional giants on the field, but they claim to have already become "the hottest club in the world". 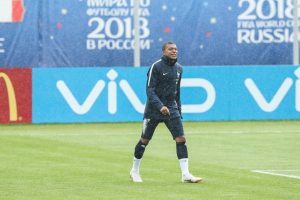 Paris Saint-Germain's teenage superstar Kylian Mbappe has told AFP that, for all the Qatar-owned club's huge investments in recent years, they will need the breaks to fall their way if they are to finally fulfil their dream of winning the Champions League. 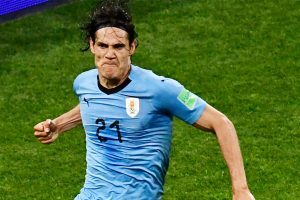 Uruguayan striker Edinson Cavani says Paris Saint-Germain's team of dazzling individuals including Neymar and Kylian Mbappe need to work more as a team if they are to win the Champions League. 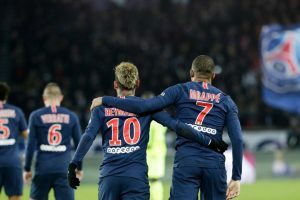 Continue reading "Focus on Neymar-Mbappe partnership as PSG kick off title defence"
Brazilian superstar Neymar made his first club appearance since February as Paris Saint-Germain thrashed Monaco 4-0 in the Champions Trophy in China today. 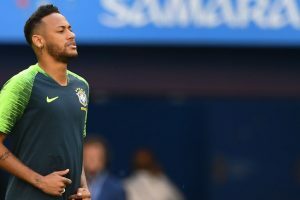 Brazilian superstar Neymar's mother, Nadine Gonçalves dove head first into the controversy surrounding her son in the wake of an ad in which he admitted that he sometimes exaggerated his reactions after being fouled at the World Cup. He earlier sported No. 29; Brazilian winger Lucas Moura last wore PSG's No. 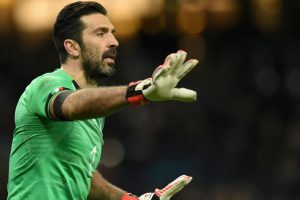 7, having switched his kit number from 29 to 7 in June 2014. 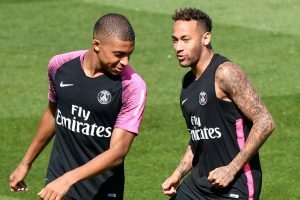 Brazilian star forward Neymar has declared himself ready to "go back and give everything" for Paris Saint-Germain following a disappointing FIFA World Cup campaign in Russia. 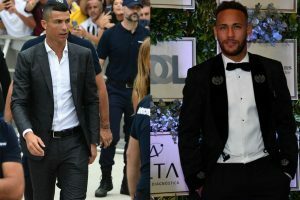 "Cristiano is a legend in football, a genius," the PSG star added while talking about five-time Ballon d'Or winner. 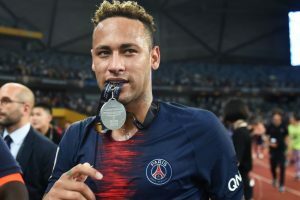 Brazilian superstar Neymar sought to quash speculation about his future, insisting he planned to remain with French giants Paris Saint-Germain. 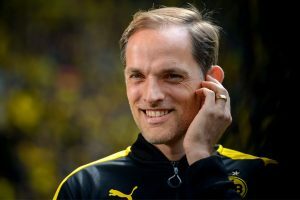 Continue reading "Relaxed Tuchel embraces PSG challenge"
Brazil is placed in Group E with Switzerland, Costa Rica and Serbia at the 2018 World Cup.